Behold: a dishtowel apron for Tie One On...the pretty dishtowel is from my friend Cheya, and the idea from an old issue of Real Simple. 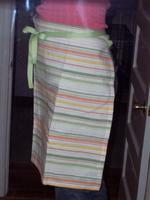 I sewed on two buttons and tied ribbon to each...wrap the ribbon around your waist, and voila, a lovely hostess apron! Detail of the button and ribbon, which seems to be fraying already! Hi, Carol. 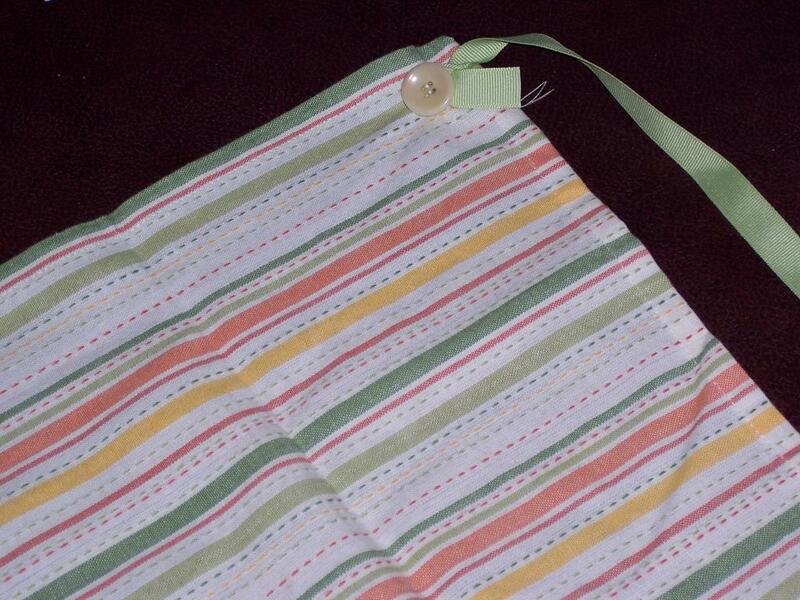 The grosgrain ribbon is going to fray unless you do something to the ends. Maybe stitch them down, or fuse them with clear nailpolish? 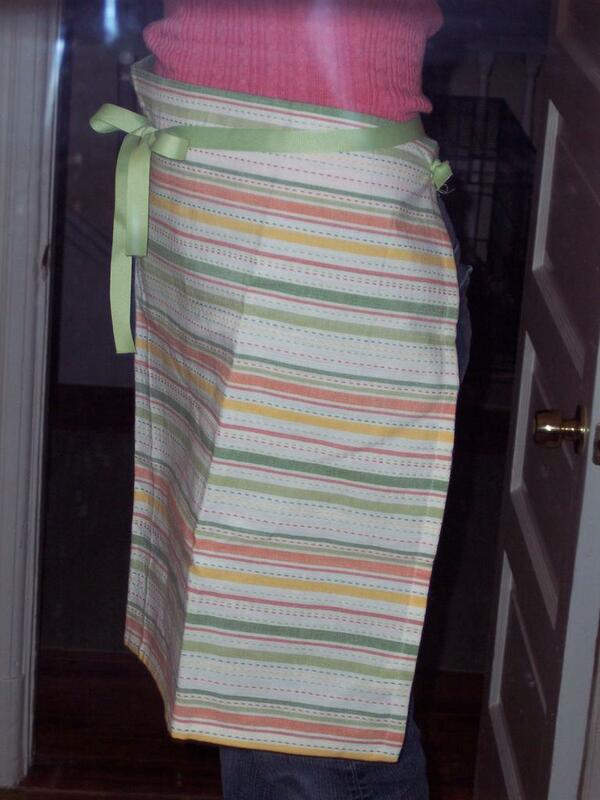 Cute apron idea, though!